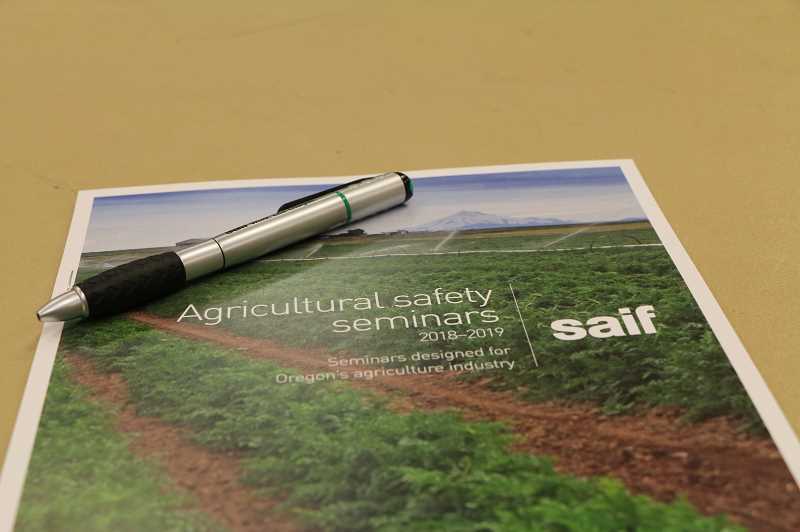 Woodburn is among more than a dozen Oregon cities where the state's not-for-profit workers compensation insurance company, SAIF, will be conducting free farm-worker health and safety seminars. The half-day seminars will be conducted in both English and Spanish, and there will also be webinars offered for the first time this year. 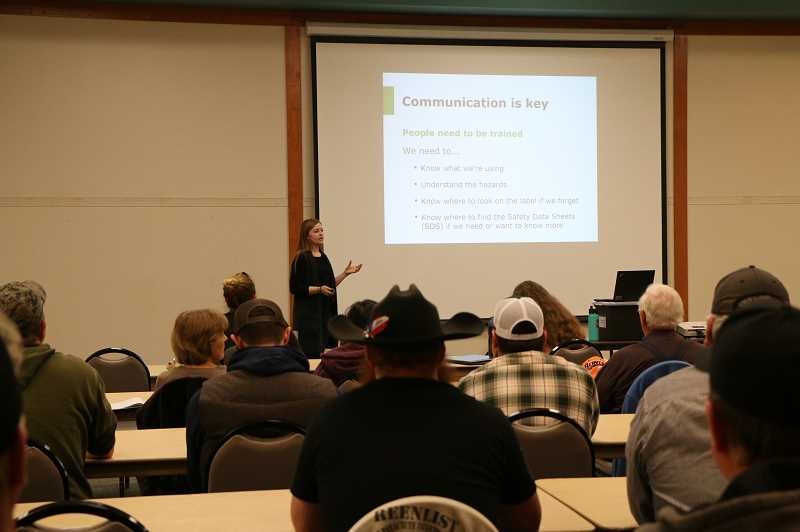 SAIF officials said the seminars are designed primarily for people working in agriculture, but are open to anyone interested in ag-related safety and health, regardless of whether or not they are insured by SAIF. Potential hazards inherent in agricultural work are varied, whether the worker is operating large farm equipment or spraying chemicals -- agricultural workers face a lot of risks on the job. "We see about 1,500 injuries in the ag industry a year," said Reva Hartenstein, senior safety management consultant at SAIF. "We created these seminars to help reduce those numbers—our goal is for every ag worker to go home safe and healthy each night." SAIF spokeswoman Lauren Casler noted that year's sessions will focus on four safety topics: training new employees, best practices for chemical use, conscious decision making, and safe driving on and off the farm. "Motor vehicle accidents account for some of the most severe injuries in the ag industry—and across Oregon industries," said Hartenstein. All Woodburn seminars take place from 9:30 a.m. to 2:30 p.m. Woodburn's first English speaking one is Wednesday, February 20; the second is Wednesday, March 20. The Spanish session is scheduled for Thursday, Feb. 21. All three will take place at the Legacy Health/Wellspring Conference Center, 1475 Mt. Hood Ave., Woodburn. If those times don't work, there are seminars up the road in Wilsonville; English is held on Tuesday, Feb. 26, Spanish on Thursday, Feb. 21, at the Wilsonville Training Center, 29353 Town Center Loop E.
For information or to register, visit http://www.saif.com/agseminars"www.saif.com/agseminars, or call 800-285-8525.